I'm living my dream right now. 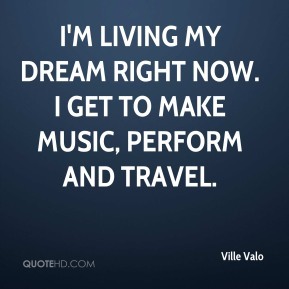 I get to make music, perform and travel. I've got asthma. 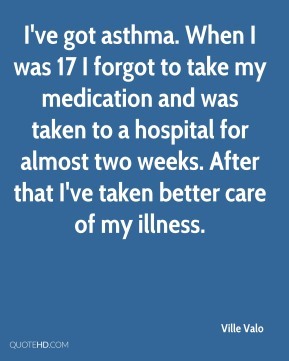 When I was 17 I forgot to take my medication and was taken to a hospital for almost two weeks. After that I've taken better care of my illness. 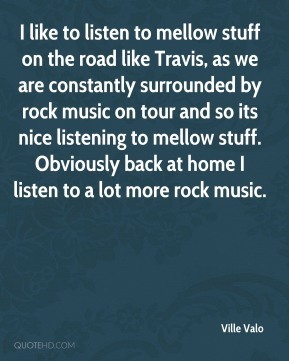 It's like that with what sort of ideas people outside of the band have of HIM. 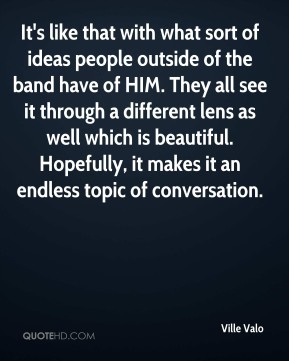 They all see it through a different lens as well which is beautiful. Hopefully, it makes it an endless topic of conversation. 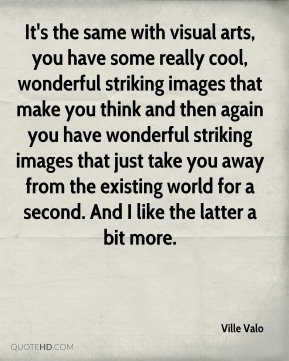 It's the same with visual arts, you have some really cool, wonderful striking images that make you think and then again you have wonderful striking images that just take you away from the existing world for a second. 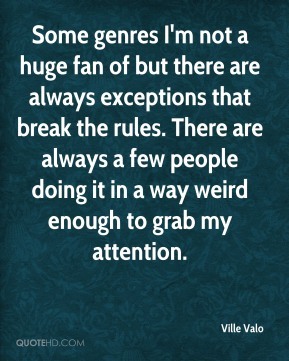 And I like the latter a bit more. 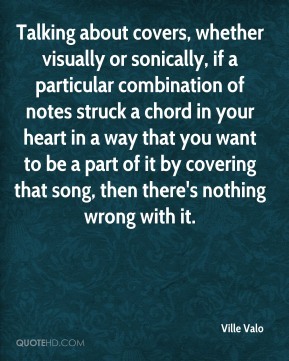 Music for me is an emotional thing and it really does make me happy. It's not a tool for me to get fame or see my face in the papers or anything like that. 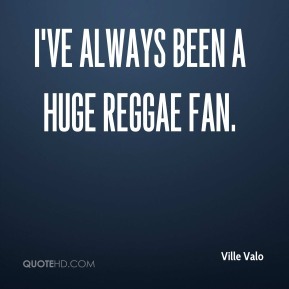 It's about the fact that I really do enjoy it. 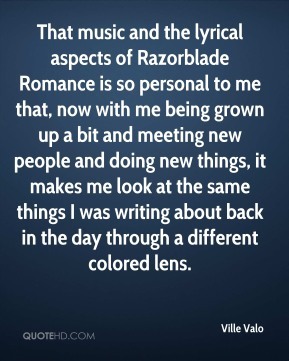 Music's always been really cathartic. 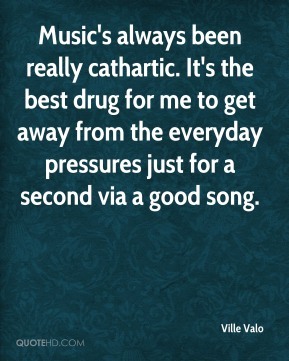 It's the best drug for me to get away from the everyday pressures just for a second via a good song. 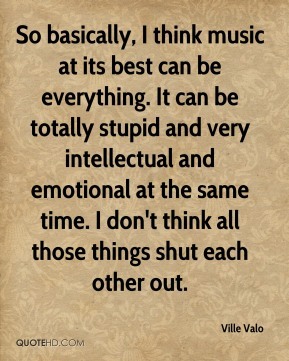 So basically, I think music at its best can be everything. 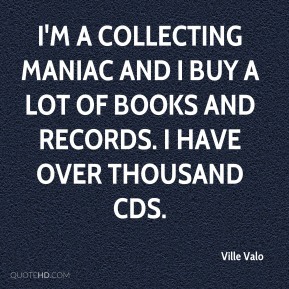 It can be totally stupid and very intellectual and emotional at the same time. I don't think all those things shut each other out. 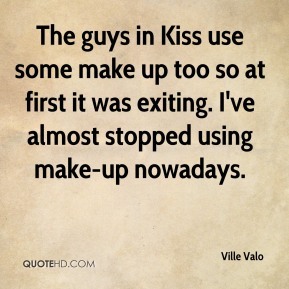 The guys in Kiss use some make up too so at first it was exiting. I've almost stopped using make-up nowadays. 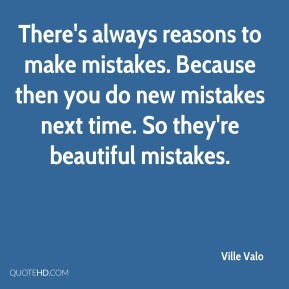 There's always reasons to make mistakes. Because then you do new mistakes next time. 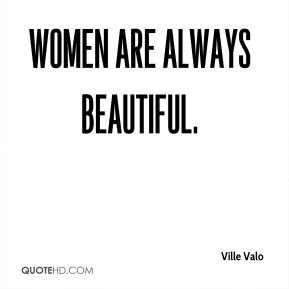 So they're beautiful mistakes. 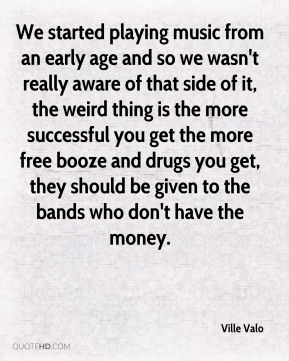 We started playing music from an early age and so we wasn't really aware of that side of it, the weird thing is the more successful you get the more free booze and drugs you get, they should be given to the bands who don't have the money. 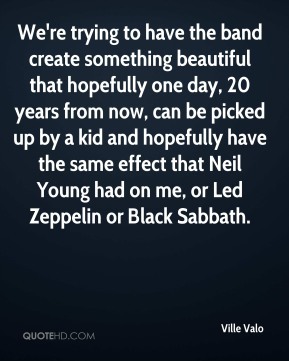 We're trying to have the band create something beautiful that hopefully one day, 20 years from now, can be picked up by a kid and hopefully have the same effect that Neil Young had on me, or Led Zeppelin or Black Sabbath. 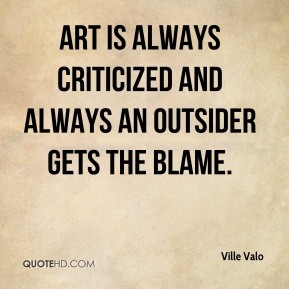 Art is always criticized and always an outsider gets the blame. 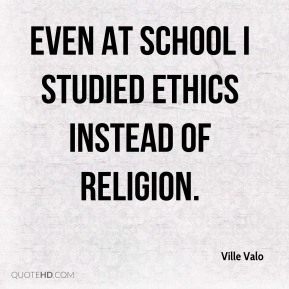 Even at school I studied ethics instead of religion. 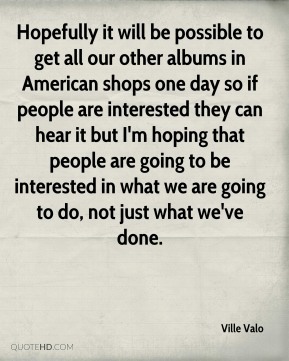 Hopefully it will be possible to get all our other albums in American shops one day so if people are interested they can hear it but I'm hoping that people are going to be interested in what we are going to do, not just what we've done. 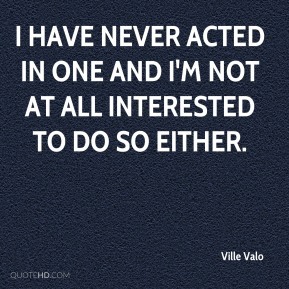 I have never acted in one and I'm not at all interested to do so either. 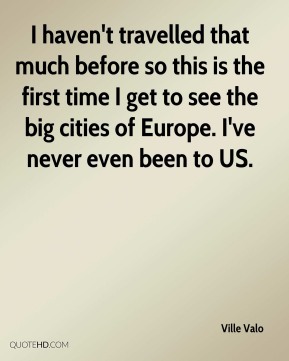 I haven't travelled that much before so this is the first time I get to see the big cities of Europe. 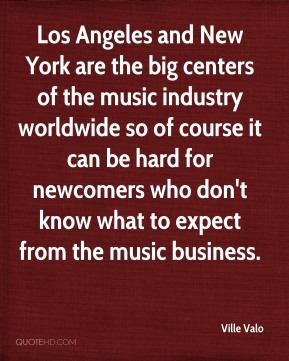 I've never even been to US. 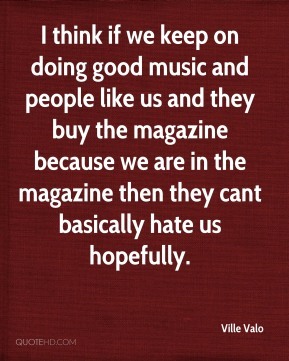 I think if we keep on doing good music and people like us and they buy the magazine because we are in the magazine then they cant basically hate us hopefully.